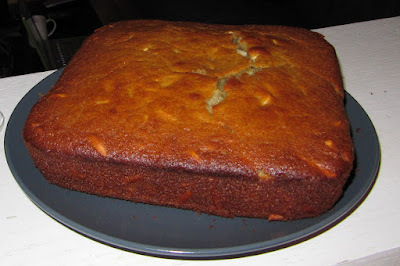 comal caliente: Cherry beer and almond cake! Cherry beer and almond cake! 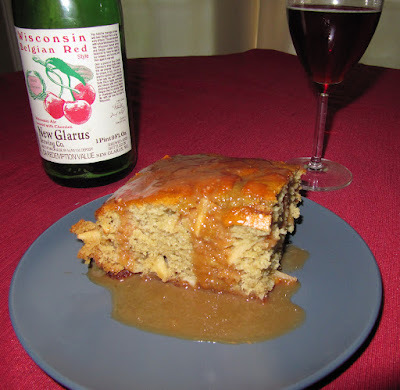 The main focus of this cake is the Wisconin Belgian Red from New Glarus Brewing Co. in Wisconsin. This ale is brewed with fresh Wisconsin cherries and the flavor really comes through, I highly recommend this stuff. I had some beer left so I cooked this with sugar, butter and some cream to make a cherry beer dulce de leche. The caramel sauce added additional sweetness and gave extra tart cherry flavor towards the end. awesome, what could be better than a cake made from an alcoholic beverage?! the flavors (cherry, almond, caramel) sound great together.